What is the Disaster Relief Project? The Project is intended to help Nebraskans who are victims of disaster situations. Survivors of floods, tornadoes and other disasters can face a host of legal challenges, including but not limited to replacing identification papers, applying for disaster benefits, dealing with insurance claim issues, preventing unlawful evictions and foreclosures, and combating contractor scams. The Disaster Relief Project connects disaster survivors with attorneys willing to lend assistance at a time when the survivors are most in need of help from a legally trained professional. The Project ensures that the volunteer attorneys are properly prepared to assist the disaster survivors. Are you seeking a public service opportunity that utilizes your legal skills? Legal Aid of Nebraska is looking for attorneys to register as Volunteers in support of its Disaster Relief Project. 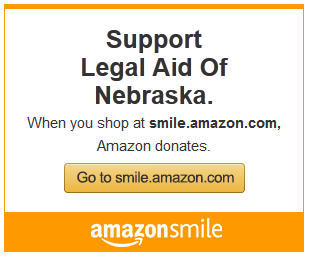 The Omaha Bar Association encourages its members to consider signing up and supporting this worthy project. What do the Volunteer attorneys do? Attorneys who volunteer can assist disaster survivors in a variety of different ways, including at on-site disaster assistance centers or through pro bono legal support and/or representation in the weeks and months following a disaster. The volunteers are utilized around the entire state of Nebraska, and grouped to assist in disasters nearer their location. For example, it would be rare to get a request for an Omaha attorney to volunteer in response to a disaster in North Platte or Scottsbluff. It varies depending on the needs of the disaster survivors, and the relief coordinator. A volunteer could commit to spending an afternoon at a disaster relief center, doing insurance claim submissions, or could take on a legal case against a landlord trying unlawfully to evict a disaster survivor. The time commitment varies depending on what you are asked to help with, and what you are able to take on when asked. I don’t know anything about the areas of the law involved in disaster relief. Will I actually be helpful in such a situation? The Project makes sure that attorney volunteers are given sufficient training and/or guiding and support materials that will ensure they are capable of being helpful to the disaster survivors. Attorneys are uniquely suited to navigating the myriad of paperwork and issues that follow a disaster during the recovery and rebuilding. Who else has signed up? What counties are in most need of coverage? We keep track of volunteer network coverage of the 93 counties of Nebraska using an interactive chloropleth map. You can check out the map yourself here. What if I sign up now but am unavailable to help when asked? The Project understands attorneys are busy professionals and cannot always help, even if they had previously signed up as volunteers. If you sign up but cannot help, simply respond promptly to the request, indicating you are unavailable. Great, I’m in…how do I sign up?